Feeling guilty about what you’ve eaten - and punishing yourself as a result - won’t help you lose weight. If you’re experiencing weight issues, you have to learn to see food as sustenance, as life-giving, as the path to better health, not as the enemy. Many people would dismiss a weekend of indulgence as a temporary interlude in their diet and all in good fun. For people with extreme food guilt, however, an indulgence is calamity, a transgression that must be paid for with brow-beating remorse and self-induced punishment. 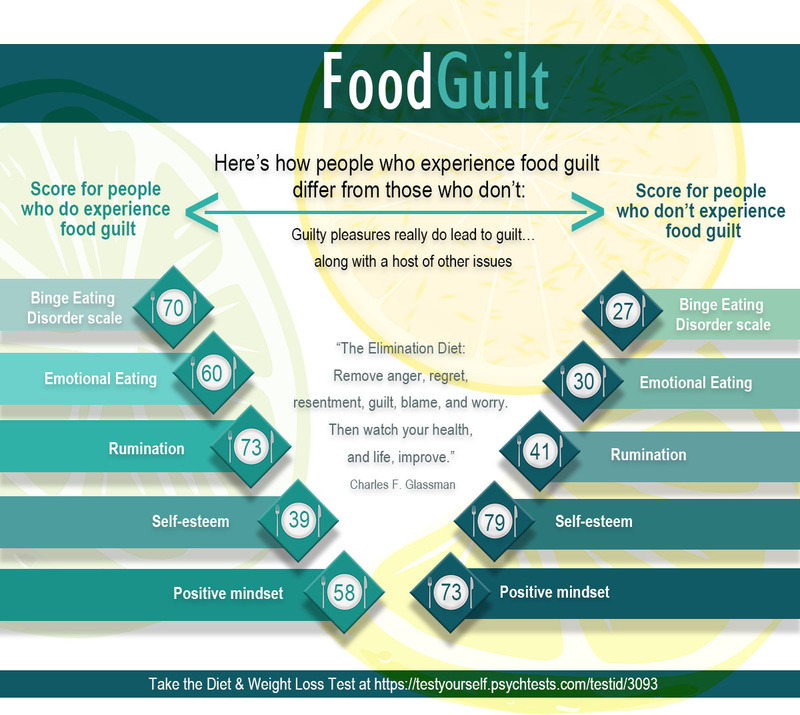 According to research from PsychTests.com, people who experience food guilt are also more likely to be dealing with a number of other issues, including unhealthy eating habits, severe weight loss methods, and a lack of protective psychological traits. Professional users can request a free demo for this or any other assessments from ARCH Profile’s extensive battery: http://hrtests.archprofile.com/testdrive_gen_1.